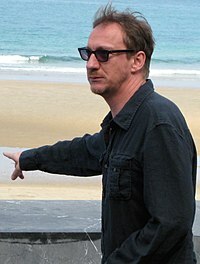 David Thewlis (born 20 March 1963) is an English actor. He is known for his role as Remus Lupin in the Harry Potter movie series, as the main antagonist Ares in the 2017 movie Wonder Woman and as V.M. Varga in the third season of Fargo. He also appeared in Naked (1993), Timeline (2003), Kingdom of Heaven (2005), The Omen (2006), The Boy in the Striped Pyjamas (2008), London Boulevard (2010), War Horse (2011), and Red 2 (2013). Thewlis was born in Blackpool, Lancashire, England. This page was last changed on 4 February 2018, at 02:16.